$40.501 million on 3719 screens. Originally intended to hit screens in the summer of 2012, GI Joe: Retaliation got bumped to the spring of 2013. The studio claimed they delayed the release so they could convert it to 3D, but some analysts felt the move occurred to give allow time to fix various cinematic problems. Usually when a film gets a substantially delayed release, it signals major problems on the set – and a flick that flops when it eventually makes it to cinemas. Exceptions exist, of course, such as 1997’s Titanic: overbudget and overschedule, it moved from summer 1997 to Christmas of that year but defied all negative predictions to become a massive hit. Retaliation didn’t approach Titanic-level receipts, of course, but at least it overcame the “delayed movie curse” at the box office. No, its $122 million in the US didn’t make it a substantial hit – and it demonstrated a decline from the $150 million made by 2009’s GI Joe: The Rise of Cobra. Nonetheless, the gross kept the movie from failure and probably ensured a third Joe flick. When the political situation in Pakistan becomes unstable, the US president (Jonathan Pryce) sends in the elite “GI Joe” commando team to secure that nation’s nuclear arsenal. However, it turns out this isn’t the real president; he’s an impersonator played by Zartan (Arnold Vosloo) of the terrorist Cobra organization. Once the Joes succeed in their mission, the president frames them and stages a mission that kills most of the team. Leader Roadblock (Dwayne Johnson) takes the Joes underground to fix the situation and save the world. That synopsis simplifies matters quite a lot, largely because the full movie is a total mess. The narrative falls somewhere between nonsensical and non-existent, which isn’t unusual for the genre, but still remains a problem. Throughout the flick, I occasionally wanted to mutter “what the heck is this thing about?? ?” due to the confusion and general randomness on display. Truth be told, Retaliation - like many efforts in its genre – exists mainly for a lot of explosive slam-bang material, and to a degree, that’s fine with me. I don’t expect brilliance from a big, loud action movie, so I can live with thin characters and choppy storytelling. To a point, at least, and Retaliation goes beyond that point. It suffers from one fatal flaw: we couldn’t care less about the characters. If you don’t invest in any of the roles, why become concerned with what happens to them? In a potentially shocking move, Retaliation kills off a major character about one-third of the way into the tale. This seems unexpected and should generate some real emotion and power, but instead, it totally fizzles. The film treats the death in a casual, tossed-off manner that does nothing to merit a reaction from the viewer. If the passing of a main character can’t elicit drama, what hope does the rest of the film have? Not much, and the events remain uninvolving. Sure, Retaliation throws a lot of action at us, but it does so in a nearly random manner. The battle scenes offer little rhyme or reason; in the midst of the muddled story, they feel like placeholders, scenes created out of a sense of obligation more than dramatic necessity. Really, the only pleasure in Retaliation comes from the chemistry between Johnson and Channing Tatum. Both provide good comedic skills and I’d like to see them again in a more laugh-oriented flick. They’re fun to see together and would work well as a team in something else. Until then, we’re stuck with Retaliation, a flick that suffers from the worst sin an action film can commit: it’s boring. About halfway into the movie, I started to consciously wonder when it would finally end. Not soon enough, as it happens. Someone someday might be able to create a fun flick based on the GI Joe franchise, but neither of the first two attempts succeeds. 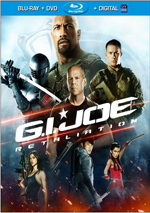 GI Joe: Retaliation appears in an aspect ratio of approximately 2.35:1 on this Blu-ray Disc. Few problems cropped up in this satisfying presentation. Overall definition worked well. A few shots – mainly those with heavy use of visual effects – could seem a bit soft, but those didn’t dominate. Instead, the majority of the flick appeared accurate and well-defined. I saw no shimmering or jagged edges, and the image lacked edge haloes or print flaws. 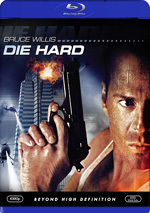 What would a modern action flick be without teal and orange? A refreshing surprise, but not a refreshing surprise I found here, as Retaliation opted for the usual palette. As tedious as this can be, at least the Blu-ray reproduced the hues well. Blacks were deep and dark, while shadows showed nice clarity and smoothness. The light softness made this a “B+”, but I still felt pleased. No equivocation greeted the terrific Dolby TrueHD 7.1 soundtrack of Retaliation, as it excelled. With nearly-constant action, the movie offered nearly-constant auditory material that filled all tbe channels… well, nearly constantly. This led us to an exciting sonic experience from start to finish. The various speakers provided lots of information that filled out the movie and blended together in a seamless manner. Bullets, explosions, vehicles – you name it and it blasted all around us. This formed a dynamic soundscape with a lot to offer. In addition, audio quality seemed strong. Music was bold and full, and even with a lot of looped lines, dialogue remained crisp and natural. Effects appeared lively and vivid, with clear highs and deep lows. I felt totally pleased with this excellent soundtrack. Within the disc’s extras, we begin with an audio commentary from director Jon M. Chu and producer Lorenzo di Bonaventura. Both sit together for this running, screen-specific look at story/characters, cast and performances, stunts and action, various effects, sets and locations, cinematography and a few other areas. Overall, we get a pretty good track here. At times, the participants deviate into too much praise and happy talk, but those elements don’t dominate. Instead, we find a reasonably enjoyable and informative look at the film. Under GI Joe: Declassified, we find eight featurettes. These fill a total of one hour, 12 minutes, 56 seconds and encompass “Mission Briefing” (10:02), “Deployment” (6:07), “Two Ninjas” (7:34), “The Desert Attack” (8:26), “Cobra Strikes” (8:57), “The Lone Soldiers” (7:44), “The Monastery” (9:57) and “Fort Sumter” (12:09). Across these, we hear from Chu, di Bonaventura, executive producers Herb Gains and Erik Howsam, producer/Hasbro president and CEO Brian Goldner, Hasbro VP Aaron Archer, screenwriters Rhett Reese and Paul Wernick, Hasbro lead GI Joe brand designer John Warden, military advisor Harry Humphries, stunt coordinator Steve Ritzi, production designer Andrew Menzies, costume designer Louise Mingenbach, visual effects supervisor James Madigan, Hasbro VP Global Brand Mgmt. 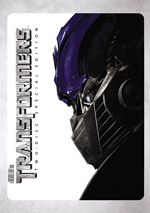 Derryl DePriest, and actors Channing Tatum, Dwayne Johnson, Joseph Mazzello, DJ Cotrona, Adrienne Palicki, Ray Park, The RZA, Elodie Yung, Byung-Hun Lee, Ray Stevenson, Bruce Willis and Jonathan Pryce. We learn how Chu came onto the project and what he brought to it, goals for the sequel, story/character areas, sets, locations and production design, costume, vehicle and weapon design, stunts and action, military realism, cast and performances, various effects, and a few other subjects. “Declassified” digs into a bunch of good topics and does so in an involving way. We get a nice mix of interviews and footage from the set in this useful program. Three Deleted Scenes run a total of three minutes, 59 seconds. We find “Pakistani President Assassinated” (1:06), “Interns” (0:54) and “Arlington” (1:59). Given the length of these clips, you shouldn’t expect much from them. “Pakistani” offers a little teaser, while “Interns” lets the fake president have a little fun. “Arlington” shows a promise made by the Joes to redeem their fallen colleagues. None are bad, but none add much. A second disc provides a DVD copy of Retaliation. This includes some previews but lacks any other extras. 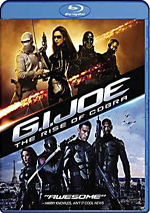 After GI Joe: The Rise of Cobra launched the franchise in forgettable fashion, I hoped the sequel would give it some oomph. Unfortunately, GI Joe: Retaliation offers another dud, as it gives us bloated action with precious little excitement. The Blu-ray delivers fine picture and audio as well as a nice collection of supplements. While this stands as a solid Blu-ray, the film itself disappoints.